Work from home, how about this property with an independent work studio? More and more of us in the UK are choosing to work from home for at least one day at week, according to the TUC, the Office for National Statistics Labour Force Survey, almost 1 out of 7 people over the past decade now work from home - which is 13.7% of the entire workforce, and those figures are expected to have increased since their last report. If you work from home or would like to work home you might be interested in this impressive 3 bedroom, contemporarily designed house just a stones throw away from Cheam Station and village which comes with its very own office/cabin at the end of the garden, far enough away not to be disturbed during your working day, but close enough to enjoy the benefits. The current owner has renovated to the highest standard, with no expense spared, to create a home that is both luxurious and convenient for the modern everyday lifestyle. 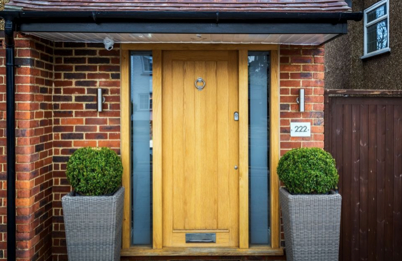 Features include underfloor heating to the ground floor, full width bi-fold doors onto the garden and Sonos sound system to the kitchen/dining room. The entrance hall, featuring high gloss flooring and modern staircasing, immediately provides a preview of the lavish d cor to come. The beautiful floor tiles flow through to the kitchen/dining room, a space measuring 21 5 x 19 10 and large enough to hold a six-seater dining table and separate seating area. The kitchen continues the high gloss theme in the crisp, white units and also incorporates a freestanding breakfast island. The vaulted skylight and wide bi-fold doors make the most of the natural light. Set to the front of the house, the separate sitting room is stunning. Features such as plantation shutters ensure this room is comfortable and contemporary. Upstairs, the neutral decor enjoyed throughout the downstairs continues in the three bedrooms. The bathroom is sumptuous with its modern white suite of bath, hand basin, low level flush WC and walk-in shower, plus sublime floor to ceiling tiles in soft dove grey. Externally, the garden is laid to 45mm Chelsea graze artificial lawn ensuring lots of time for relaxing and barbeques rather than mowing! However, raised beds allow the gardener to add colour in the summer. Offers in excess of £650.000.